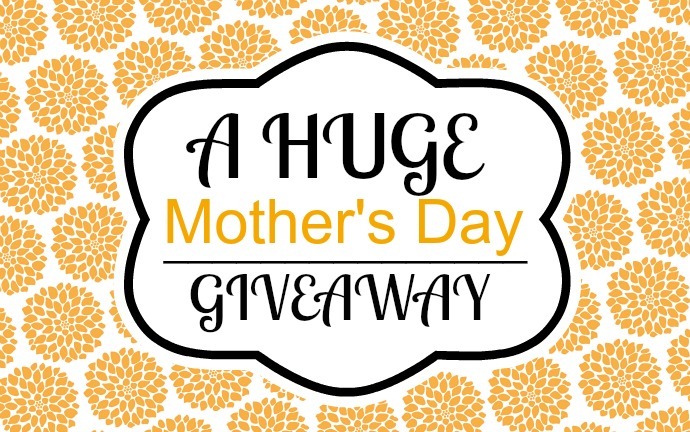 A Massive Mothers Day Giveaway - Winner Takes All! 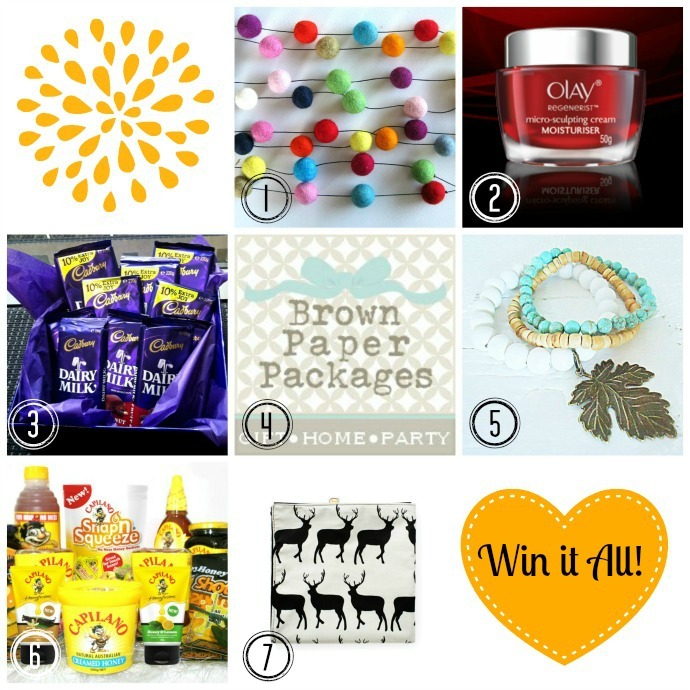 | Life Love and Hiccups: A Massive Mothers Day Giveaway - Winner Takes All! Thank you for entering, please see the bottom of this post for the winners details. When I was a little girl my Grandmother came to live with us. She had suffered a stroke and was unable to live alone anymore, so she moved in with us and my Mum and Dad cared for her. Sadly she is no longer with us, but man she was one awesome Nanna. She could knit, sew, garden and cook like a total pro and I had zero interest at that time in being taught ANY of those skills. She tried. Frequently. But I just was not even slightly interested and it is something I regret to this day. I could have learned so much from her, and I have lost count how many times I have killed a plant, flopped a cake and nearly gone demented trying to figure out how to crochet, all the while saying to myself "I wish my Nan was still here". She was also a good sport and you could totally take the piss out of her and she would just laugh. Like the time I caught her giving the Taxi driver a peck on the cheek. Well I of course proceeded to tell everyone that I saw her tongue pashing the taxi driver and she copped so much stick over it, but she just laughed it off with a "Oh Sonia". Another time when she was in the hospital, she asked me to bring her in some magazines to look at. Being the dutiful granddaughter I did indeed take her some mags, that had plenty to look at. It just so happened that the magazines I chose to take in for her were the Woman's Forum magazines. Remember them with the full nudie shots and raunchy stories? The nurses nearly required their own form of medical intervention when they discovered what reading material my Nan had on her bedside table. Again she saw the humour and laughed it off in the way she did so well. One morning when I was about 10, I went in to sit on her bed for our usual morning chat. After a little while she asked me if I was making Mum breakfast? "What for" came my preteen genuinely shocked anyone would expect me to make anything reply. "For Mothers Day. You do realise it's today?" she said. Oh Crap. Crap, Crap Crap. I had forgotten Mothers Day. You know that feeling you get when your heart starts pounding and you have a little bit of vomit in your mouth? Luckily Nanna has some little lace handkerchiefs she had made, neatly tucked away in her drawer just screaming to assist me in my conundrum. I felt awful giving my Mum those handkerchiefs, not because they weren't pretty as they definately were. It was just because Mum knew that those hankies had come from Nanna and that I had forgotten Mother's Day. I felt like the lousiest daughter in the universe that day and I swore to myself that never ever again would I ever forget Mother's Day or miss the opportunity to spoil my Mum. SO on that note, fancy winning some gorgeous prizes? You know just in case someone forgets to spoil you next weekend or maybe because YOU want to make it up to your Mum for once giving her handkerchiefs for Mothers Day? These gorgeous prizes are up for grabs, but this time there is something a little different to my normal monthly Giveaways post. This time the winner takes all! First of all we have a gorgeous Felt garland from Felt Foxes. I completely adore this shop I discovered a few months ago on Etsy. 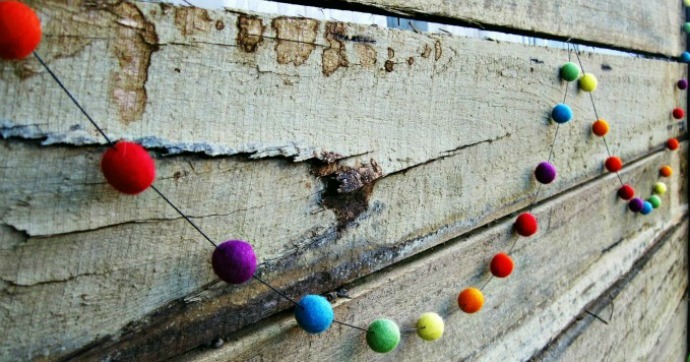 Ruth the owner of Felt Foxes, sells the most gorgeous rainbow coloured felt balls and garlands and you cannot help but smile every time you see one of these gorgeous bright garlands draped over something in a little corner of your home. I have quite a collection going now and I wrote a post about how I use Ruth's felt balls with my kids which you can read here if you are interested. Ruth has kindly offered up one of her 3 metre rainbow Felt Garlands as part of the prize pack, so you or someone you gift it to can brighten up a little corner of their home. 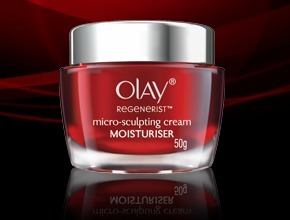 Fancy trying for yourself the fabulous Olay Regenerist micro-sculpting cream Moisturiser? I have been trying a number of different moisturisers and face creams over the recent months, you know all in the name of stopping slowing down the aging process and I am in love with this product. The rich scented cream gives your skin a really youthful and dewy feeling. It is formulated to help to reduce fine lines and wrinkles as well as exfoliating and smoothing your skin. Olay is a brand that has been around for as long as I can remember, so it is a brand that I trust my nearly 40 year old sensitive skin with. The lucky winner of this prize pack will receive a Jar of the Regenerist Micro sculpting cream and trust me on this - your skin will be sooo grateful! What Mum doesn't dream about hiding herself away and chowing down on a big block of Cadbury chocolate? 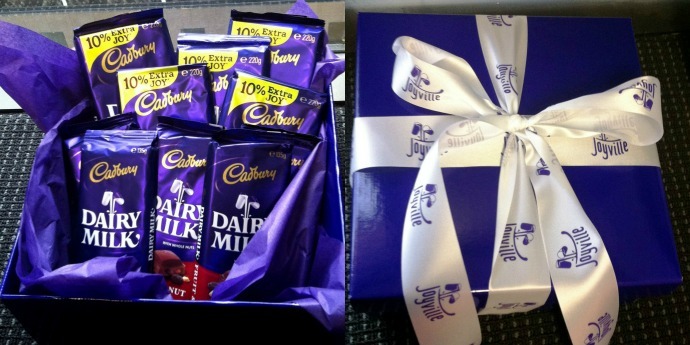 Or how about 10 blocks of Cadbury chocolate for that matter? · More generous blocks including a new 220gm pack size – with the extra chocolate not affecting the RRP! Ahh seriously - what is not to love about this! I don't know how I came across Amanda's beautiful online store Brown Paper Packages but I am one happy lady that I did. Brown paper packages has the most gorgeous range of products, including soft furnishings, gorgeous home decor items, to party supplies, washi tape, prints, wallpaper and adorable drinking straws. This is yet another store you are going to have a hell of a time choosing from - I warn you now. Luckily for the winner Amanda has given me a $50 voucher for you to spend in store. Am I jealous much? Ummm yeah! Many of you will already know the gorgeous Tania who blogs at Scandi Coast Home. If you haven't yet had the pleasure of reading Tania's blog GET YOURSELF OVER THERE NOW! Tania has a knack for decorating that makes her home look like a permanent tropical oasis and she vignettes like a Queen! Now Tania doesn't just have a gorgeous blog and talent for decorating, she is one clever chick to boot and creates her own gorgeous range of jewellery which she recently launched on Etsy. Tania has generously offered for the winner to choose any item from her store. Um set aside some time to choose as you are gonna have a tough time narrowing it down to which piece you want. 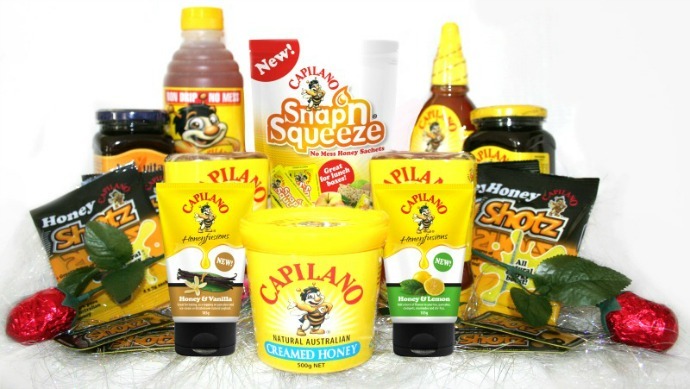 Now picture this, you are lying in bed enjoying a well earned sleep in and upon waking (naturally waking and not because there are kids jumping on your head), your brood brings you in some hot toasty crumpets dripping in Capilano Honey & Vanilla Infusion. Good cause now I am craving crumpets and honey. There is something so comforting about honey, whether it is on toast, in hot tea or as a glaze in cooking. It just screams winter and toasty toe curling warmth to me. Kitchenware Direct will deliver to your door just about everything and anything you need for your kitchen and entertaining. The range of brands they carry is HUGE and they are an online kitchen store I frequently love to lurk at. Brad from Kitchenware direct has given us this gorgeous Kissing Stag Anorak Picnic Blanket to included in our prize pack which is Perfect for a Mothers Day picnic! This is a machine washable rug with a cotton front and water resistant nylon backing. It rolls ups into a neat compact size and can be stored away in the boot of the car for those impromptu picnic stops. Are you in love with the stag print on this rug as much as I am? Alright so entering this month's review and giveaways competition is super easy. All you need to do is enter your details into the Rafflecopter box below, and for every Participating Companies Facebook page you like, you get an entry. If you like all 7 companies, BAM you have 7 entries. Oh and if you tweet this post - whammo you have yourself yet another entry. You can have a total of 8 entries all up. Competition closes at 7pm AEST This Mother's Day 12/05/13 and a winner will be chosen by Rafflecopter.